Are you a dog owner looking for providers of mobile dog grooming in Dublin? Continue reading to learn about 3 organisations provide dog grooming of the mobile kind. The services offered are all explained thoroughly on the website, so you can familiarise easily yourself with the groomers’ practices and why they’re so crucial to your dog’s overall well-being. It’s all about prevention – taking good care of ears to stop infections from happening, using only non-irritating products on sensitive skin and clipping overgrown claws so that your fur baby can run freely! All of those treatments can be done in no time, while you’re relaxing in the comfort of your own home. The days spent trying to get your pet into the bath are over – let’s leave it to the professionals, shall we? The full price list for all treatments can be found here. Costs are solely dependent on the breed, size and coat type, e.g. tiny little Chihuahuas can get groomed for as little at €50! The Peter Bark grooming vans can reach not only the Dublin area, but also Meath, Kildare and Wicklow. Book your appointment today – you’ll find the contact details here. There’s nothing more satisfying than a head-to-tail groom for your beloved canine companion, and you can treat them to one at Little Paws! Getting all those pamper and hygiene tasks ticked off in one go is going to be so much easier for both you and your dog in the long run – especially with the mobile services Little Paws now offer in the South Dublin area. The full grooming session includes a tingling brush out, a nice, neat trim, ears and nails cleaning, shower and conditioning, and some perfume to finish off the fantastic blow dry! You no longer have to struggle to groom your dog at home. This option will be a lot less messy, as all the grooming is performed inside a state-of-the-art van, on your very own driveway. Dogs ranging from small to large in size can be treated using the mobile grooming option – unfortunately, the super big boys will have to head to the parlour, as there’s limited space in the mobile station. Pricing in dependent on the breed – you can find the full list here. Make sure your dog’s flea preventing treatments, as well as vaccinations, are all up-to-date before you book them in. It’s all about ensuring 100% safety and satisfaction for every single pooch. It also goes without saying that toilet and feeding time should be taken care of before the Little Paws groomers knock on your door. Every pooch is a celebrity in their eyes – and incredible tools and experience they have can make everyone else see it too! Hollywood Dog Mobile Grooming is the perfect solution for those, who simply don’t have the time to wait at salons for hours. The self-contained, fully equipped grooming vans will come to you to give your dog a full-on makeover. The owner Frank, who’s gone from training police dogs to giving luxury treatments to all dogs, can be trusted to have a steady hand and a calming attitude. It’s all about reducing anxiety and bonding immediately, which Hollywood Dog groomers always try their best to provide! Proudly serving both Dublin City and County, the groomers of Hollywood Dog offer Silver and Gold packages, where on top of the extensive grooming session, your pooch can have their teeth brushed, or be given a special Bio Bath. The full price list, based on breeds, can be found here. If you’re interested in a little therapy for the brain too, a brand new service offered is Tibetan Healing Therapy, which can improve the overall well-being and make your special bond with your dog even stronger. If you’d like to get in touch, you can find all the necessary information here. Simply fill out a form and someone at Hollywood Dog will get back to you. You can also book the appointment online. 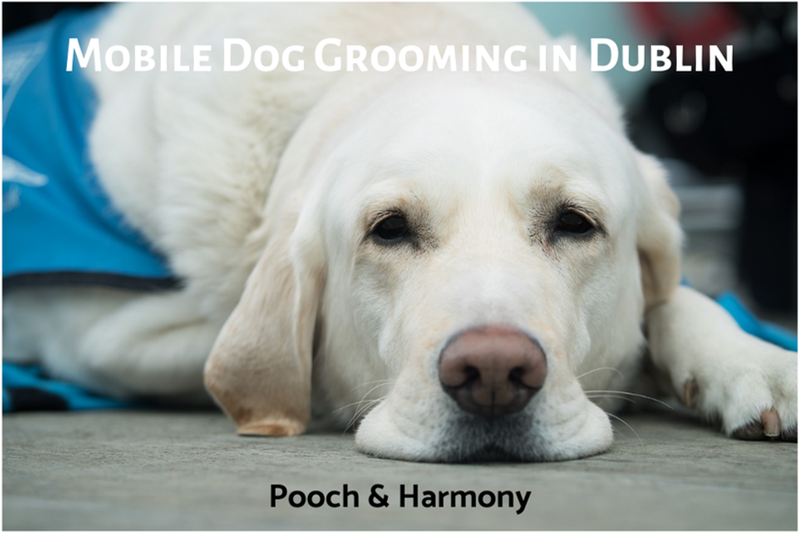 Do you know of any other providers of mobile dog grooming in Dublin? Please tell us more in the comments box below! Zofia Filipowicz is a freelance journalist living in Poland. She has graduated from De Montfort University in Britain, with a first class degree in Journalism and English Literature. Since then, she’s worked with different print and digital publications. Currently open for commission.